You are here: Home / EcoKids-Environment / Do Those ‘Take Action’ Causes and AutoFill Forms Really Work? Do Those ‘Take Action’ Causes and AutoFill Forms Really Work? August 25, 2009 Ever wonder if those urgent ‘act now’ e-mails from your favorite causes work? Last week I received an NCLI eco-literacy action alert, as Shaping Youth is a member of the consortium supporting the Pre-K through 12 No Child Left INSIDE Act which gets kids outdoors and hands-on in nature as the ultimate math and science ‘STEM’ program as part of school curriculum… So I started dutifully dialing the CA governor’s office out of curiosity to see how these “contact your legislator NOW” lobbying appeals land in real life. First reaction? Yo! Arnie, get off the phone, eh? Line was busy again and again and again. Second reaction? Hey, didn’t we already win this? b.) Does anyone actually pick up a phone to act when they receive these prompts besides me and c.) Does it ‘count’? Does it ‘matter?’ Do we have to keep ‘finishing the job’ to make sure it doesn’t fall through the cracks? Third reaction? It’s a huge time sink for busy parents and youth advocates to write/call legislators or even fill out auto-fill forms…So I’d better cut to the chase get the REAL scoop on ‘one click causes’ and digital activism to make sure no one’s wasting their time. I ‘tweeted’ to Age of Conversation pal and Media Rules author Brian Reich who has spent his entire professional life working with campaigns, political organizations and cause-marketing. Ready to be enlightened? Brian was the youngest campaign manager in the nation serving as former Vice President Gore’s briefing director in the White House and during his 2000 presidential campaign, and has since provided digital chops for everyone from the Alliance for Climate Protection to hotshot agencies like Cone and EchoDitto, so he seemed like a perfect pick to interview. Brian already knows environmental education in schools and sustainability programs through climate change legislation are right up there in MY top tier of what’s going in the right direction for this ol’ planet, and I strongly feel we owe it to kids to push through the legislation to finish the job if it hasn’t been already done. Case in point? Schools have a vital role urging inclusion of NCLI in the reauthorization of the Elem. & Secondary Education Act, but evidently, Arnold hasn’t quite signed on yet. He’s “expressed support,” so we basically need his John Hancock for clout, and Californians have been asked to give him a holler. This is a slam dunk action item for me, but I want to make it count, so what’s the best way to do so? Phone? Text? Letter? Email? And they gave me the “constituents are VERY important” nod and rambled on at length about the procedure for how they tally voter concerns and responses, but I never quite got clear as to the best method, short of me sitting in front of a staffer by appointment, face to face on Capitol Hill. 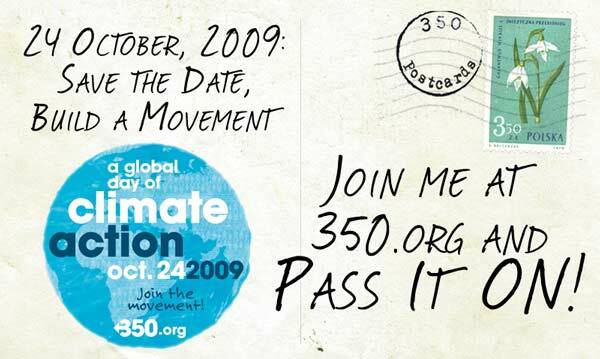 Since I’m a sucker for digital activism and youth mobilization I love ideas that engage, like the 350.org Oct 24, 2009 International Day of Climate Action…So before I get all pumped up and bloggy about the science and social media scene to support this in full, I’ll ask Brian Reich for HIS best practices when it comes to cause-marketing, being heard and youth mobilization on given legislation. Amy Jussel, Shaping Youth: When cause-marketing prompts us toward ‘urgent action’ for a piece of legislation, lobbying at a state level, etc. does it ‘do any good’ to pick up a phone, quick click an autofill form, retweet, SMS, or otherwise respond to digital pleas? Does it ‘count/matter?’ How so? Give us the inside scoop from the back end of these campaigns! Brian Reich: Each situation is different. But the short answer is yes – feedback from constituents plays a big role in the outcome of a vote by a Member of Congress or similar. There are lots of factors that go into a decision on an issue, how to vote — not to mention a host of different meetings and votes along the way. Still, at the end of the day, elected officials want to know that their vote reflects the will of their constituents and provides the best possible outcome for their district/state. That’s who they answer to in an election year (and when it is an election year, or a big election issue, that is top of mind). Providing a personal word of support or opposition on an issue can have a big impact. – Email is a commodity. It has become so easy for people to send emails to their members of congress that the direct impact of that form of communication has become limited. e.g. Members of Congress receive so many emails that most of the time what is presented is just a summary; a chart showing what percentage of the emails are in favor of a piece of legislation and what percentage are opposed and use that, along with a host of other things, in their decision making. Calls, texts, etc. are treated the same way by many officials. – Local is key. The most important people that an elected official wants to hear from is their constituents. You can get millions of people to send a note or make a call, but if they don’t live in the district, if they don’t vote, if they are only spewing advocacy organization created talking points, it will fall flat. Personal, genuine, authentic communications win the day. Technology can help speed and scale the delivery of those, so organizations should use them accordingly. Millions of the same note aren’t as helpful as a handful of the right notes. – List Building: A big reason why groups send out the last minute requests is to build their lists. Every time you send an email or similar you add your email address to their list — and open yourself to future fundraising solicitations, requests for action and similar. If you are already on their list, responding shows that you are interested and willing to be active in future efforts. From my view, the organizations don’t always interpret that action as they should… that you were interested in a specific issue or action, and that your support may not be broadly for the entire organization or effort. – There are exceptions. I worked for a member of congress years ago who voted in favor of the assault weapons ban in 1993/1994, knowing full well that the decision was right for the country but not supported by his constituents. And then, as expected, he was voted out the next election. He was personally lobbied by the President (Clinton) and his head/heart was what drove the final decision, not electoral politics or constituent feedback. So, every situation is different. Brian Reich: There is no way to quantify the effect of one media over another any more — to get your message across, to get an elected official to consider your issue, etc. you have to present your argument across a variety of channels and hope that it finds the right target. In terms of how to figure out a specific approach or tactic, start with an understanding of who the decision makers are. Most of the time, elected officials aren’t reading their own mail, or in some cases working on the details of the legislation themselves. Their aids and deputies are. What do those people read? In the ten minutes before the LA or LD goes in to meet with a Member of Congress to advise him/her on how to vote, what sources are they checking? That is the media you want to use. In a lot of cases, the audience that you are trying to reach is only one person, and determining not only what channel to use in reaching them, but also what content/argument/experience you need to create for them to understand and appreciate your argument is what matters. Mainstream media still has sway in that regard – an editorial from the local paper in the district, or a high-profile article in the Washington Post will get read. Blogs are increasingly powerful for the same reasons, because certain blogs, on certain issues, or representing certain geographic areas, have influence and audience. That doesn’t mean the YouTube videos or Tweets don’t get watched/read, but it means that a campaign focused around a really compelling video may not find its intended target. And that doesn’t mean that a mass virtual protest won’t get an issue some needed attention. But at the same time, some of the tactics that result in big, measurable numbers have the opposite effect you want (e.g. if so many people call the office, urged on by an angry radio campaign, and it shuts down the phone system and stresses out the staff, you made your point that people care about this issue, but you also may have burnt a bridge). You could get 100,000 people to watch your online video, but if the LA or LD, the member of congress, or whoever advises them isn’t among that audience, and you don’t flip their vote on an issues as a result, that effort was a failure. Obviously, getting 100,000 people to do anything is pretty impressive, but you have to look at using online/social media/technology to facilitate the kinds of actions that will get the results/have the impact you want. In the case of media/social media, many of the decision makers still aren’t using the tools, or haven’t figured out who to trust online. So, you have to use a mix of traditional approaches and more innovative online approaches. And again, if you look at the organizational goals, getting 100,000 people to watch a video may be exactly what they want, regardless of the outcome of the vote – because those people get fired up, they join the email list, they make donations, they spread the word… and all that allows a group to sustain its operations and live to fight another day. My personal belief is that too much time is spent serving the cause and not solving the cause – meaning that groups spend a lot of time raising money and keeping the lights on, but don’t apply the smart strategy and tactics to getting their issue passed, or similar. Its a different approach and very different use of media, and social media, and technology in general, when you are trying to drive and measure impact vs. activity. Amy Jussel, Shaping Youth: How can change agents more effectively mobilize and activate time-crunched consumers? 1) Engage them early and often… you want to build relationships with the audience/consumer so that when you need them to take action, they are already interested and motivated. 2) You need to add value… don’t just ask for money or action, give them something in return. Something they need. Something they want. Add value. 3) Have impact. I know full well when I sign an online petition that the likelihood that petition will result in a meaningful, measurable change on an issue is slim. Everyone knows that now (or soon). So the more times you ask for help, and direct action, and still can’t produce a real impact, the sooner you will find yourself asking and getting a response. Amy Jussel, Shaping Youth: That’s one of the reasons I’m spending so much time leaving S.Y. ‘in beta’ because we’re still testing what works in the field before figuring out the best way to tap funding to scale it. The blog is the mothership for a lot of other innovation/counter-marketing games going on behind the scenes that ARE making a difference beyond raising awareness and influence toward critical mass. That really speaks to me. Special thanks to Brian Reich for his time and expertise…If you’d like to hear more from him, you can find him on his blog Thinking About Media on Twitter @BrianReich, and uprooting from his Cambridge digs right now so be patient in responses. Also, don’t miss his piece on “Some Thoughts on Charity 2.0” where he springboards off of gal pal Beth Kanter’s excellent post called How to Address Scaling & Cause Fatigue. Here’s Brian Reich in his role as adjunct professor for the Graduate School of Political Management in Washington D.C.
Back to School: Are Teens REALLY Going Green? Observing what is being said on almost all forms of media, I think it’s difficult to separate advocacy for a cause and politics. Good if the thrusts of these two are aligned but often times, they don’t and that’s when the real matter-of-life-and-death issues are foregone in lieu of personal interests. Thanks to those who stick to their moral judgments and accept unpopularity. I would like to believe, there are still a few good men in legislature, or government in general. Also, these things are not unique in California. Other countries experience this, too.